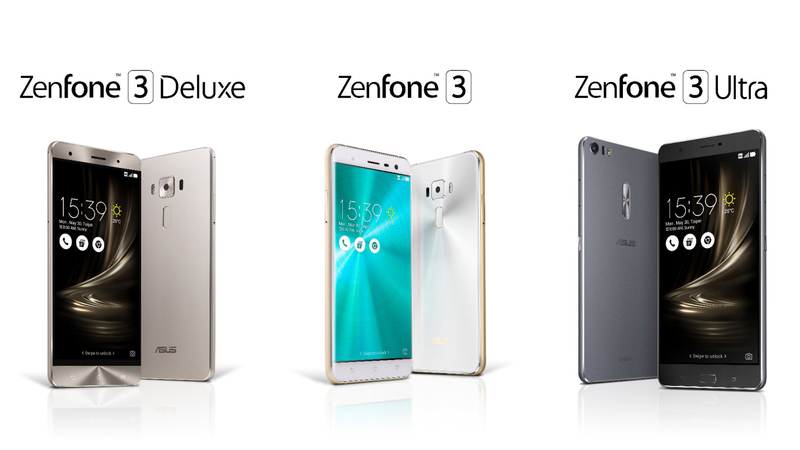 ASUS brought its A game to Computex 2016 and unveiled a trio of new smartphones: the Zenfone 3, Zenfone 3 Deluxe and Zenfone 3 Ultra. The Zenfone 3 is the basic model in this trifecta, coming in with respectable specifications and a classic but upgraded aesthetic. ASUS has finally moved away from plastic build on its flagship smartphones and embraced aluminium. The Zenfone 3 however utilizes 2.5D Gorilla Glass 4 panels on the front and back which will make it prone to fingerprints and less durable than your average metal only phone. The device is also only 7.69mm thin. The entry level model costs only $249 which will get you a Snapdragon 625 processor (Octa-core 2.0GHz, 14nm), 3GB RAM and 32GB internal storage. A higher end model with 4GB RAM and 64GB storage will be available too. The display is unchanged from the Zenfone 2 and is a 1080p IPS LCD panel measuring 5.5inches across. The main camera is an f/2.0 16MP Sony sensor and has features like 4-axis Optical Image Stabilization (OIS), Electronic Image Stabilization (EIS), Phase Detection Autofocus (PDAF), Laser Assisted Autofocus (LAAF) and a dual tone flash. From the press images, it also appears that the camera protrudes from the phone body. The secondary camera is an 8MP unit. ASUS moved the power and volume buttons to the right hand side of the device and placed a fingerprint scanner on the back. The battery capacity is 3,000mAh. ASUS added a nifty 5 magnet speaker and a smart NXP amp that prevents audio distortion but the unfortunate part is that the speaker is bottom firing. At the bottom is a USB Type C 2.0 port. The Deluxe version is the one most people will probably be eyeing. The design of the Deluxe in my opinion is an improvement over the standard Zenfone 3. The Deluxe is a full metal unibody smartphone with no visible antennae lines. The metal back is curved allowing for greater ergonomics and sides that are only 4.2mm thin. Powering the Deluxe is the beastly Snapdragon 820 which can be paired with up to 6GB of RAM and 256GB (also available with 64GB or 128GB) internal storage! The battery is 3,000mAh and can be juiced up quickly using Quick Charge 3.0 via the USB Type C port (this version supports USB 3.0 speeds). A 5.7 inch 1080p Super AMOLED display with Gorilla Glass 4 makes up the front of the device. This display supposedly offers 100% of the NTSC color space – in English that means top of the line colour accuracy. Similar to the Galaxy S7 and LG G5, the Deluxe has an always on mode. The main camera is a 23MP Sony IMX318 sensor with the same features found on the Zenfone 3. The secondary camera is an 8MP sensor. The Zenfone 3 Deluxe starts at $499 with 64GB storage. The Ultra at the end of the name means this phone is HUGE. The Ultra is almost like a small tablet with its 6.8 inch 1080p LCD display. The size will reduce pixel density by quite a bit but it should still result in a relatively sharp display. This display like all the others in the Zenfone 3 lineup is protected with Gorilla Glass 4. Inside the Ultra is a Snapdragon 652 processor, 3GB or 4GB RAM and 32, 64 or 128GB of internal storage. The cameras are identical to that of the Zenfone 3 Deluxe. The Ultra has a massive 4,600mAh battery which can be used to charge other devices too. The device is Quick Charge 3.0 compatible but supports USB 2.0 speeds. The main focus of the Ultra is media consumption (if you couldn’t guess from the screen size) and so the device packs “TV Grade” PixelWorks iris2+ dual speakers and support for DTS Headphone: X 7.1 surround sound. The Zenfone 3 Ultra starts at $479. All versions of the Zenfone 3 will ship with Android 6.0.1 and microSD expansion up to 200GB. ASUS has some more products that they are showing off at Computex so stay tuned for more awesome content!